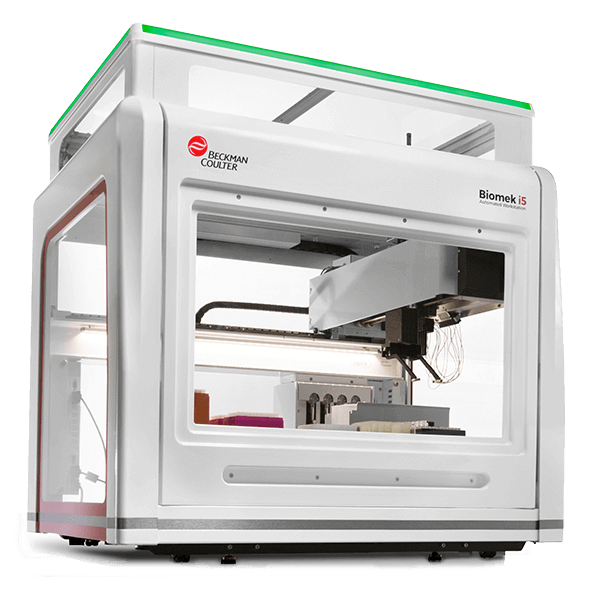 The Biomek i5 Automated Workstation with enclosure is ideal for medium- to high-throughput workflows. The Biomek i5 Multichannel features an enclosed versatile workspace with up to 25 deck positions, flexible pipetting options with a Multichannel head (96/384/Pin tool), and simple system operations. The Biomek i5 offers application-focused solutions with automated demonstrated methods & capabilities for genomic, drug discovery & basic research workflows.